One of the most basic necessities on a jobsite is the need for portable power. The demand for clean, consistent power has made Adpower generators the extremely regarded brand in the equipment industry. For years Adpower has defined the standard for standby power technology. From its first generator made to the bold new line up, its goal has been – and always will be – to build the best generators in the world. To provide the highest quality generators in the industry, its engineers develop alternators, engines, controls, and other components so that all systems work together to provide optimum-quality power as well as reliability, robustness, fuel economy, and ease of service. With generators it’s essential to update yourself about the fundamental terminology of generators which would further help in making decisions properly. Voltage — The electrical pressure, or force, that causes current to flow in the circuit. Amperage — The amount of electrical charge, or current, flowing in the circuit. Watts — A measure of electrical power. Voltage can be compared to the flow of water. There must be a difference in pressure in order for water to flow from one location to another. In an electric circuit, if there is a pressure (voltage), and path provided, then electricity will flow (current) through the conductor. Voltage is the force that causes electricity to flow through wires, while current is the movement of electricity. The automatic transfer switch monitors the electricity coming from the utility. When the power fails or drops below an acceptable level (brownout), the generator automatically starts, and the transfer switch shifts your power from the utility to the generator. 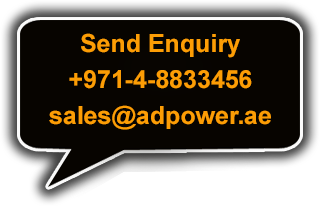 Your Adpower generator then supplies your home with electricity until the utility power is restored.